Here it is, my piece for the official Walking Dead Show at Hero Complex Gallery opening this Friday (Oct. 11 at 7) in LA! The cool thing about this show is that every piece of art was officially approved by AMC's The Walking Dead team. I admit, I struggled with what to do for the show. I wanted to challenge myself and do something different. I started thinking "why haven't we ever seen a period zombie movie?" like one set in the 1920s? 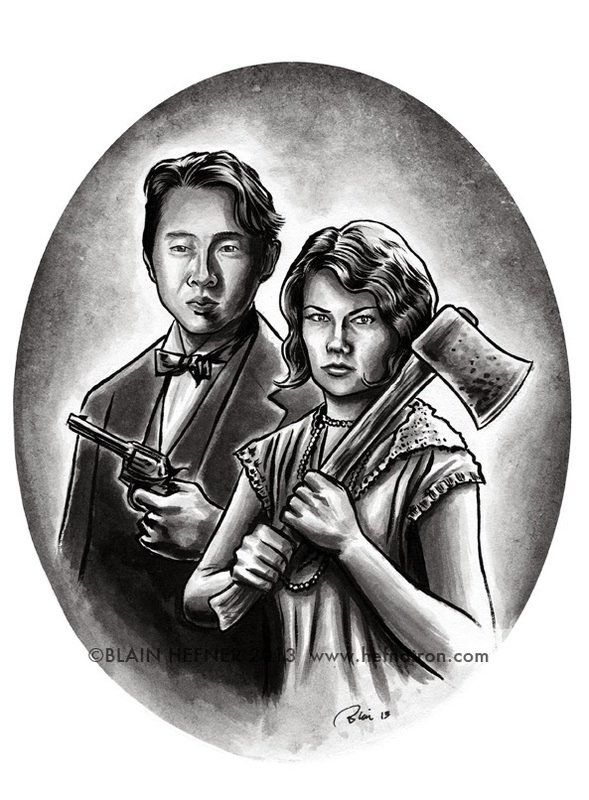 Then that led me to thinking what an old portrait photograph of Glenn and Maggie would look like from that era and this is what I came up with. 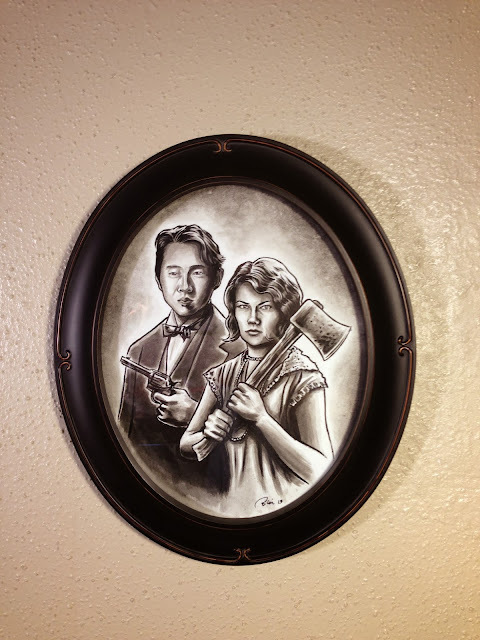 I executed the piece with ink and ink wash on watercolor paper and got a faux old oval frame to finish off the look of the piece. I think it turned out better than I had hopped and I had fun drawing it. So if you're in LA and a fan of the series — or just zombies in general— it looks like it's going to be a stellar show so go check it out.